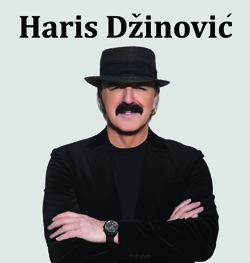 We are happy to announce Haris Dzinović Concert in Edmonton on Saturday, March 28, 2015 at 9PM. Doors open at 8PM. Membership for the Starlite room je $5 per 2 people and it is paid at the door. The Old Citadel is a 1925 brick building in downtown Edmonton, Alberta, Canada, two blocks south of Jasper Avenue, the city’s main street. The building was originally built as a “citadel” (church or place of worship) for the Salvation Army. By 1965 it was converted into the first venue of the Citadel Theatre company, with the company taking its name from the name of the building. After the company moved to a new purpose-built theatre building on Churchill Square in 1978, the building was converted to a concert hall and bar. The concert venue inside was for many years named the Rev Cabaret. Under this name, it hosted a variety of concerts including early 1990s shows of then-unknown American bands Nirvana and Green Day. In 2003 the Rev closed, and was reopened as the Starlite Room in 2004, which operates as a members-only club. As of 2012 the lounge/bar downstairs is called The Brixx Bar & Grill.